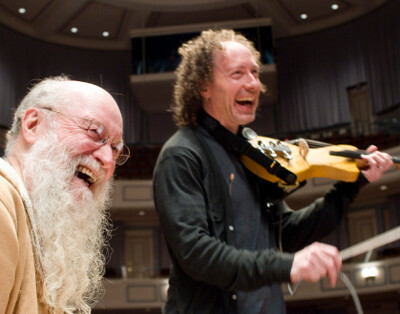 Terry Riley will turn 85 on June 24th, 2020, and celebratory performances are already underway. This week in Toronto, the Royal Conservatory's 21C Festival dedicates itself to the music of Terry Riley through performances of his orchestral music by the TSO, a special performance by Riley, and various programs which celebrate the influence he's had on generations of musicians for over 50 years. We invite you to explore the orchestral side of Riley's catalog below, and to join the many presenters who will present a panorama of Riley's music to celebrate his 85th birthday in 2020 and beyond. In experiencing one of Riley's many idiosyncratic concerti alongside his transcendent improvisational recitals, audiences will be able to take in the full breadth of this American master's life in music.